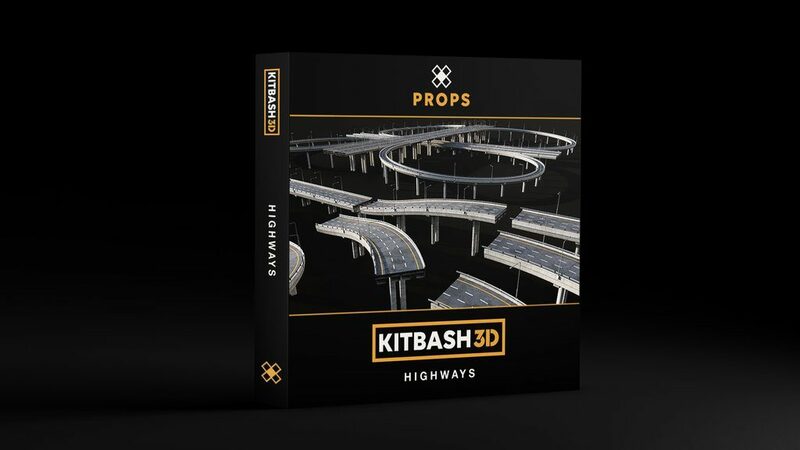 All the overpasses, freeway signs, billboards and traffic signs you need to create congested highways, busy streets or the foundation for any roadway network. Use the interchange, various ramps, loops, semi-directs and much more! 3D Models by Alex Karanak. Textures created by www.textures.com.